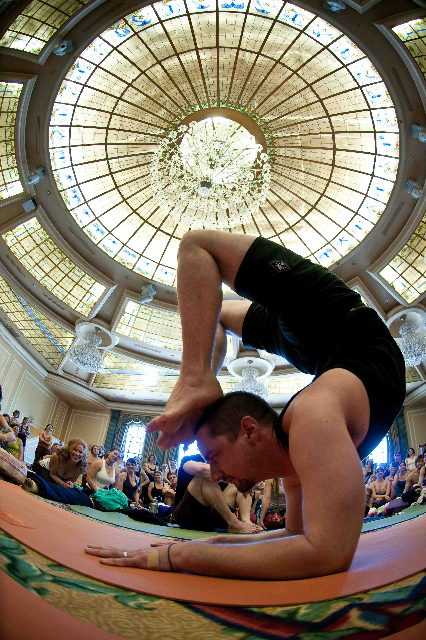 For a yoga teacher, it is a sincere challenge to keep a class interested, engaged and safe. Some students easily lose interest when you break a pose down to it’s paramount components even if they desperately need the instruction. Others, as Christina Sell would point out are your scientists and engineers, really dig the bonus of a teacher willing to take the time to TEACH and explain things in class. Inversions present an opportunity for students to leave feeling empowered or totally defeated and injured. Often I straddle the options for my chosen inversion for classes because not everyone in the room is on the same page. People think they know and tune you out, people go to the bathroom at the mere mention “bring your mat to the wall”, others enthusiastically await your instruction. Inversions are so dangerous when done wrong and while utterly therapeutic when done correctly. In my teaching I consider the level of the class to determine what inversion to teach and how. It’s always a gamble given all the personalities in the room. So, as a responsible adult that goes to yoga classes please take the words of my teacher Noah to heart so when you get to class your flow doesn’t bite you in the neck.